I am loving my Etsy site more and more and more! At first I was super hesitant..."Would people even want to buy my stuff?"... "Am I creative enough to be an Etsy seller?"... "What the heck could I possibly sell on Etsy?" But time has proved me so very wrong on all my doubts. Yes, I do have stuff I can sell, yes I am creative enough, and people WILL buy what I can make! Thank goodness I didn't let that little annoying voice really get to me! I have said this before but I'll say it again- we love working with creative people!!! I've got my ideas, sure..but there's just something so incredibly fun about having a person contact you with their visions and ideas...and you bringing them to life! Let me also say, mom's are some of the most creative ones I've met! When it comes to their little ones' birthdays...man they really get creative! I don't know if it's the whole "Being Artsy is Cool" thing that's going on...but any birthday party I've seen or been to are just incredible! They are all so neat!!! I encourage this! Be creative! It's so fun. Anyway, I received an inquiry from a mom last week, via Etsy wondering if we could make a cake topper inspired by the Toy Story font/logo. YES WE CAN!!! So fun, so exciting- and a pretty neat idea I thought. Shown is the finished product! Using gum paste and royal icing, and colored with edible food coloring gel, we created handmade stencils to make "Charlie" look like the "Toy" part in Toy Story. We then did the same thing to make "2" look like the "Story" part. I couldn't have accomplished such a perfect and very Toy Story-ish edible cake topper without the help from my artist husband- so Bill...thank you for your help! (It was a late dinner that night, haha) Please make sure you visit our Etsy shop for your next edible decoration. 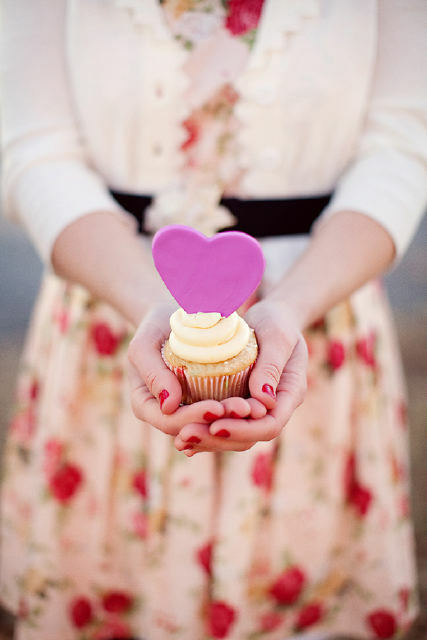 We can and will custom make cupcake, tini, or cake decorations for you, just convo (Etsy email) us with your ideas! Lastly, remember a little while ago when I had mentioned we would have some edible decorations in a photo shoot with Jodi Miller Photography and Sunshowers and Rainshine? Well, Jodi just tweeted last night a tiny sneak peek of what's to come!!! I just had to post!!! Some really neat vendors will be featured in this photo shoot, including my talented husband (and his very sweet greeting cards), so please stay tuned for a blog on that!